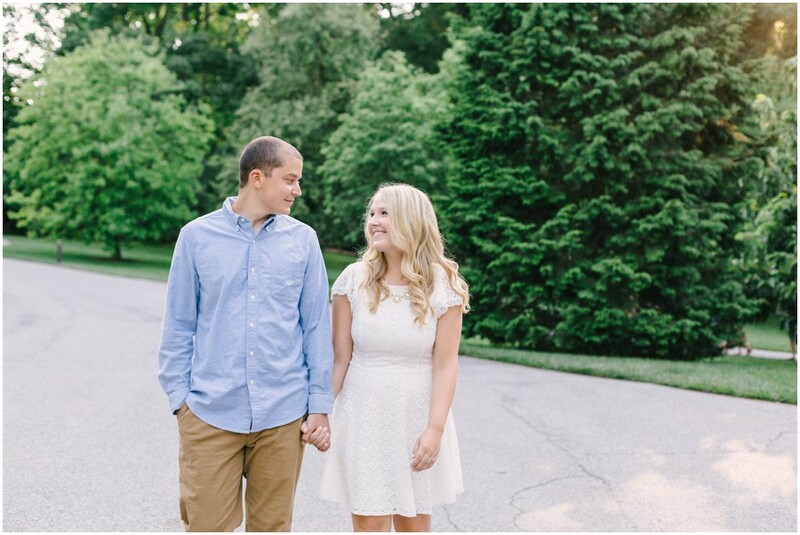 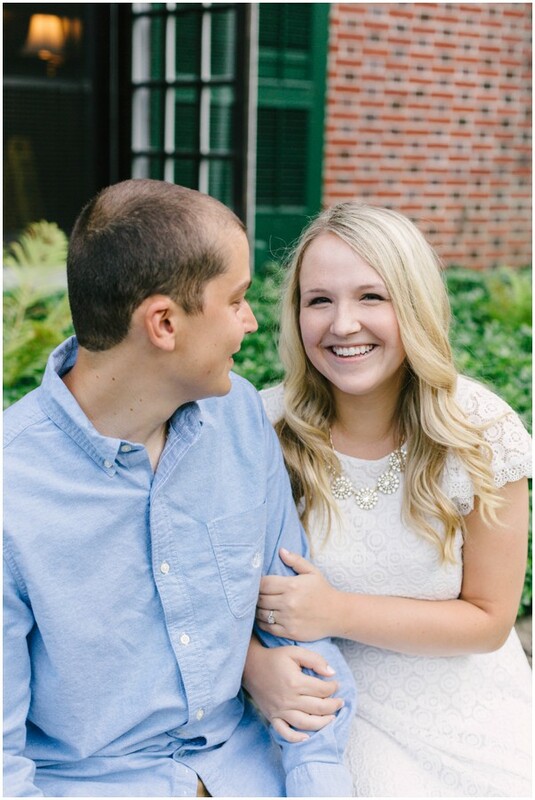 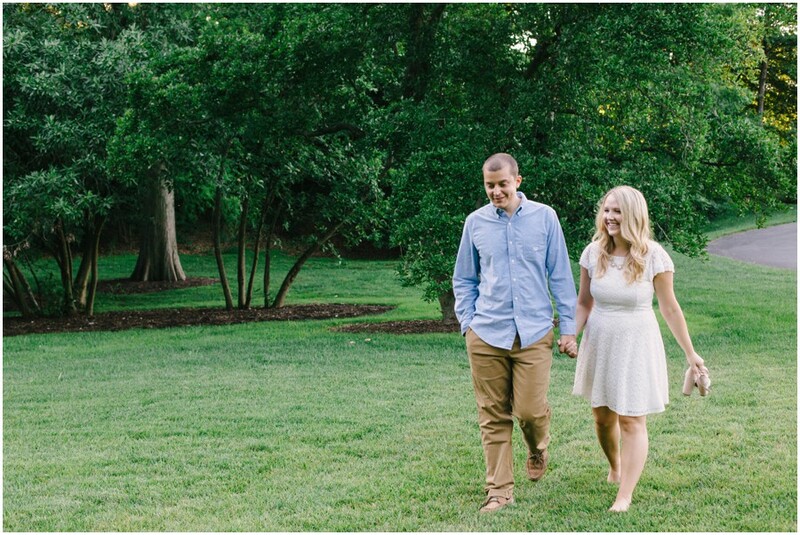 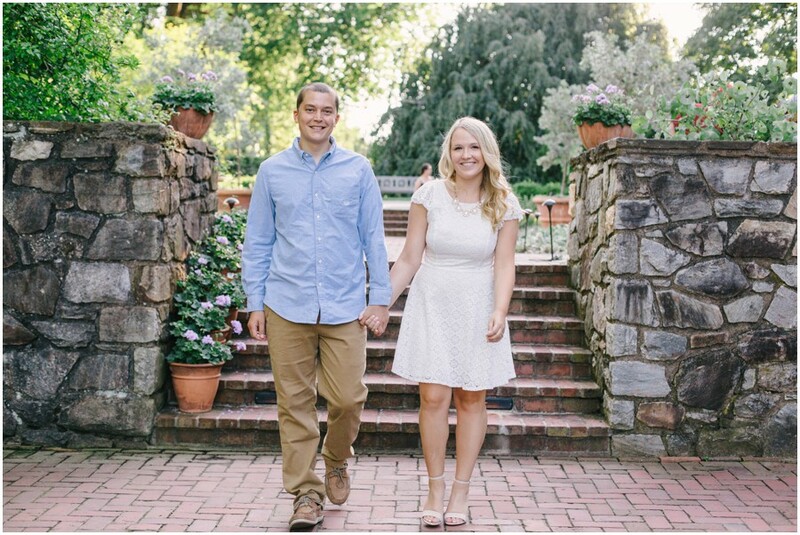 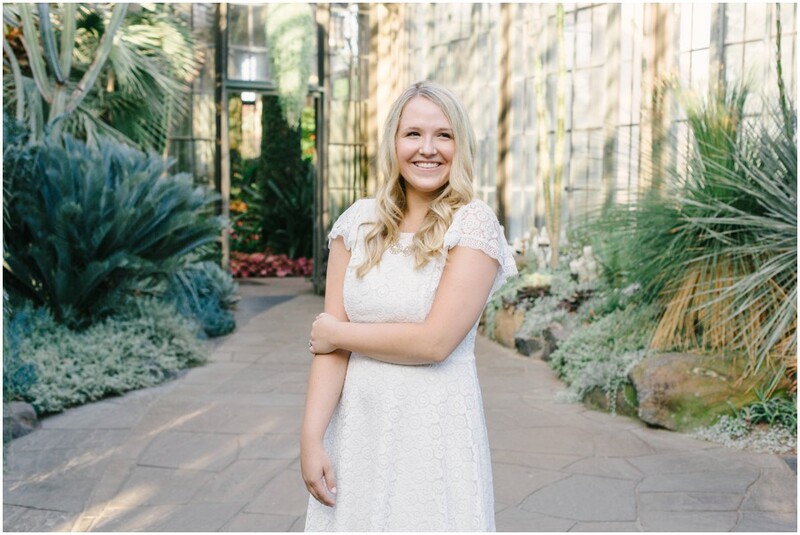 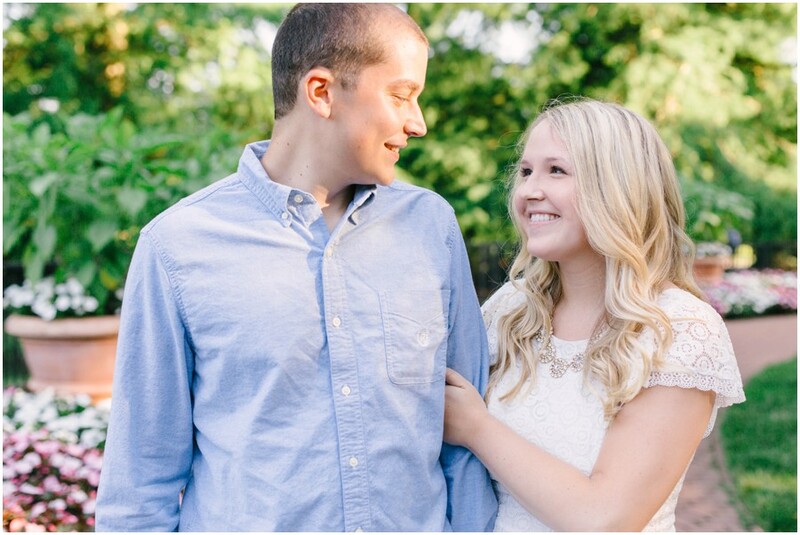 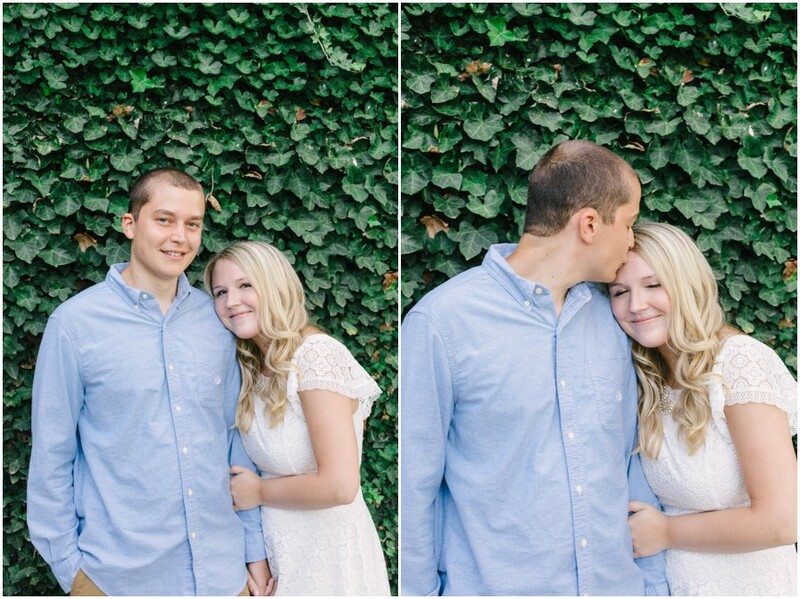 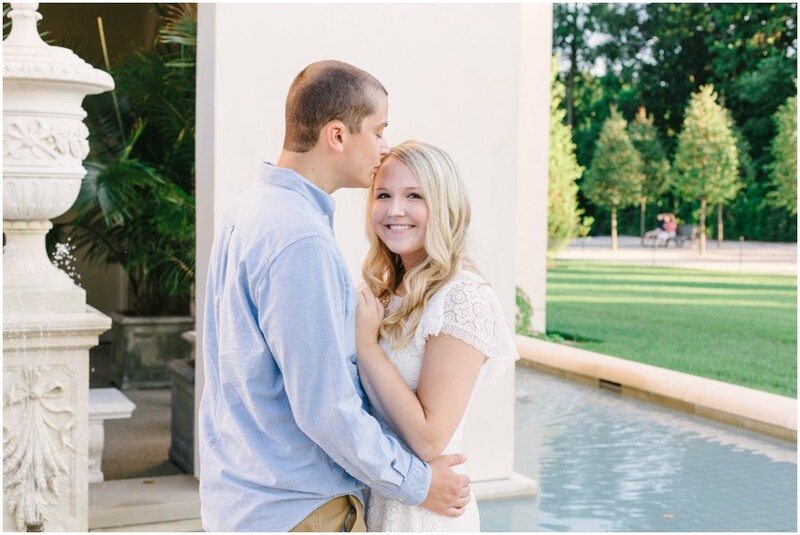 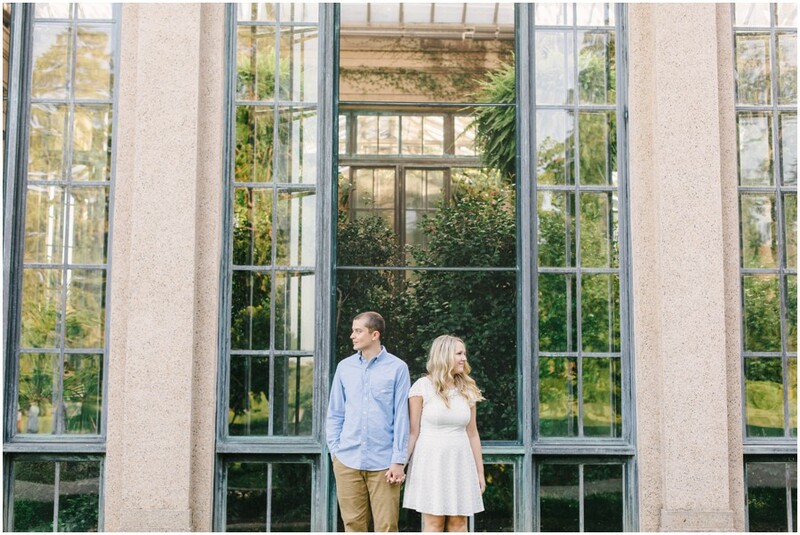 Summer engagement sessions at Longwood Gardens are my favorite!! 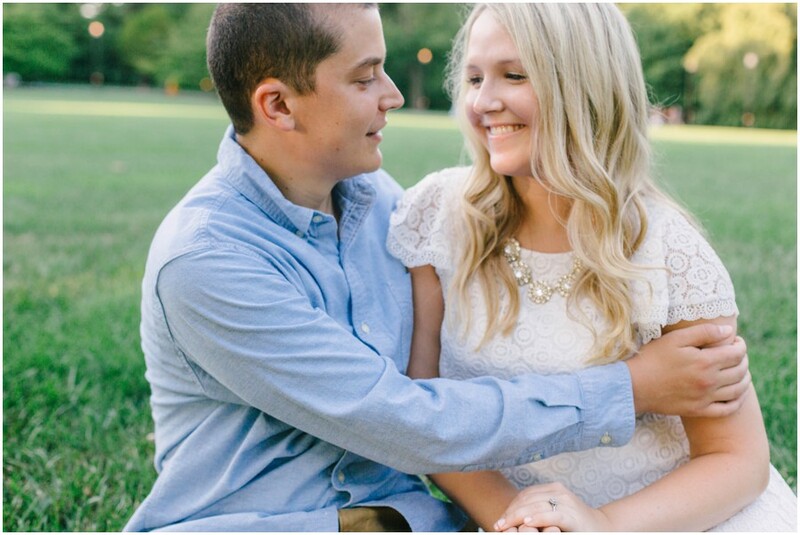 Hands down. 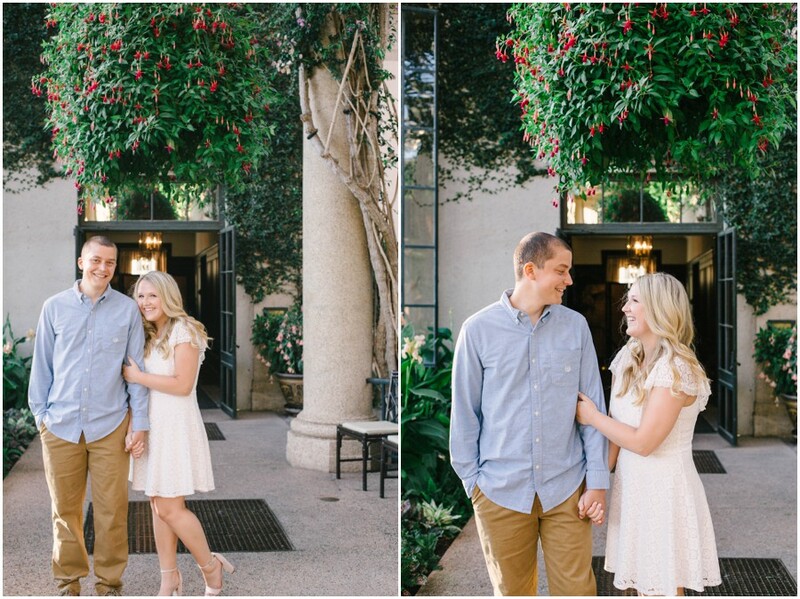 Between the lighting and the love between the couple, it results in pictures that are breathtakingly gorgeous!! 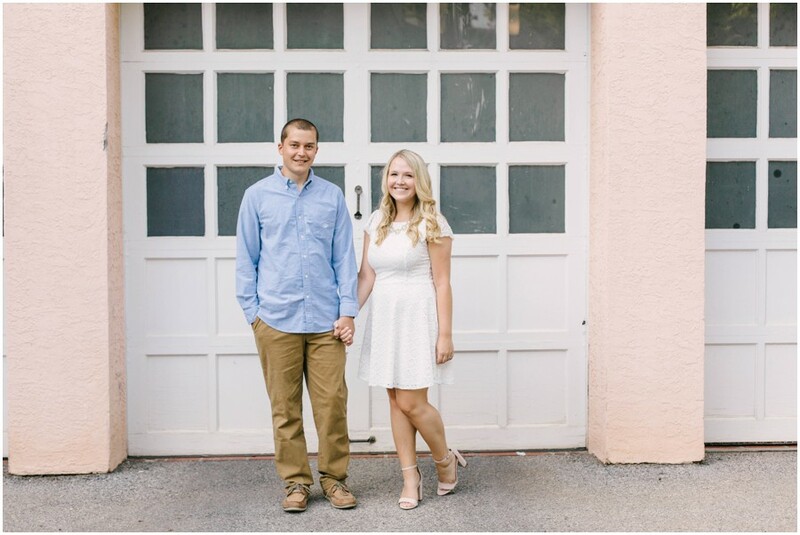 From the first moment I met Sarah & Mitch for coffee at Speckled Hen Coffee shop, I instantly knew that every moment with them would always be fun & laid-back. 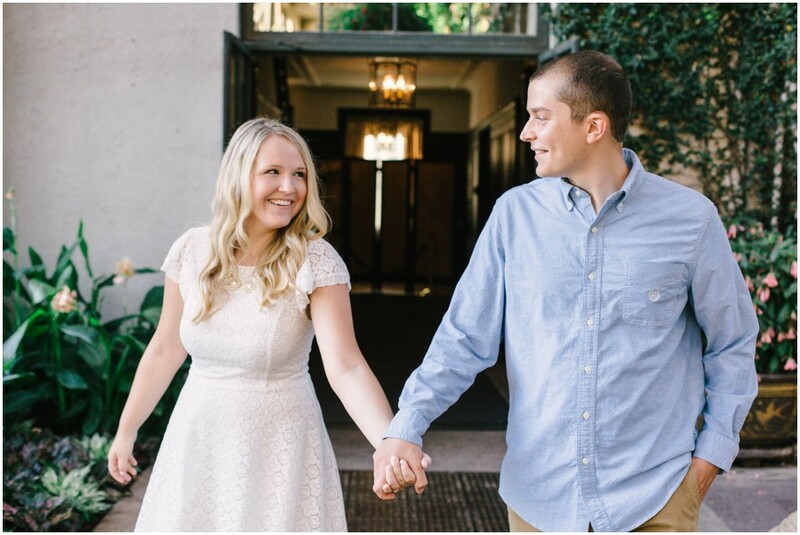 Over our hour long conversation at the coffee shop, sitting at the back table, I learned some of their favorite things and more about their dream wedding. 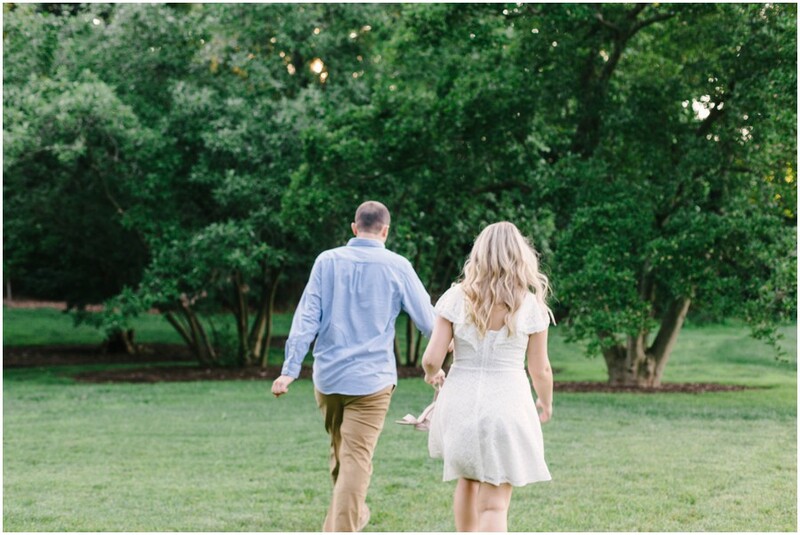 Sarah has a light about her that instantly makes me want to be her best friend. 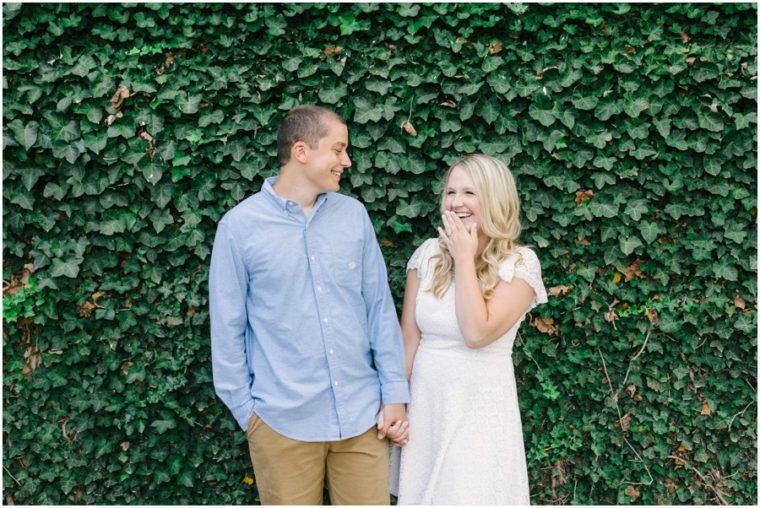 ☺️ Maybe it was how we bonded over spring weddings or the fact that we both love drinking Angry Orchards; whatever it was I instantly felt at ease with her. 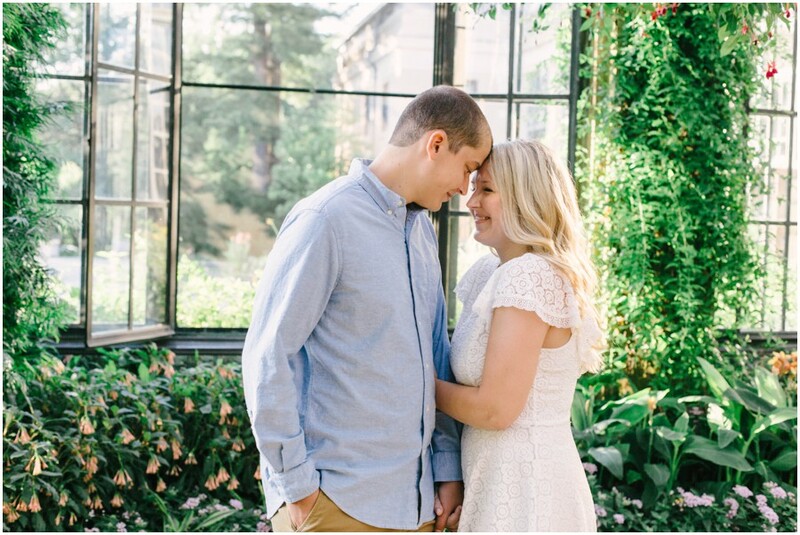 During our time spent at Longwood Gardens, I saw Mitch & Sarah become so comfortable in front of the camera. 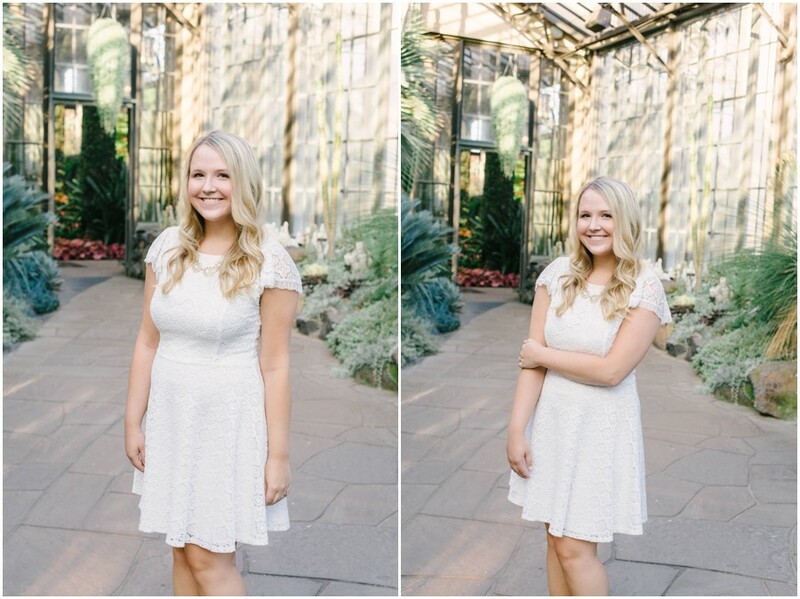 They literally blossomed! 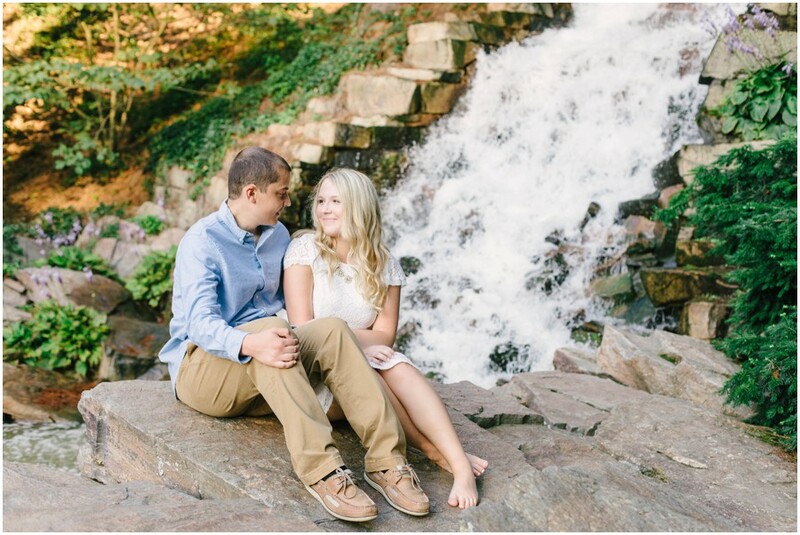 By the end of the session I didn’t have to tell them what to do. 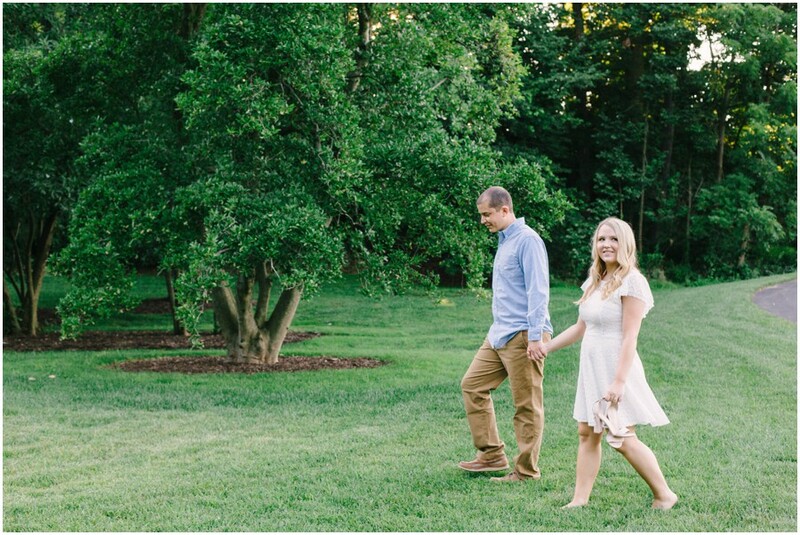 They were running in the grass barefoot, kissing and hugging each other, laughing, smiling and having so much fun! 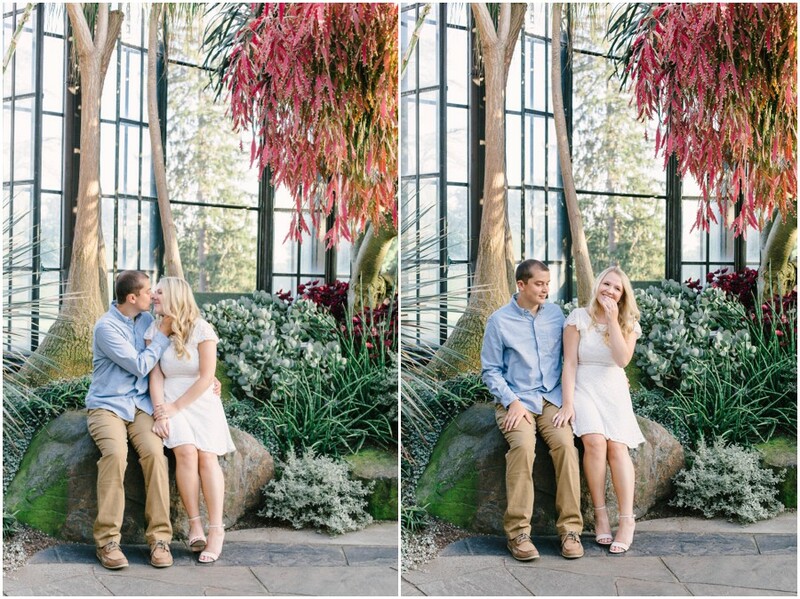 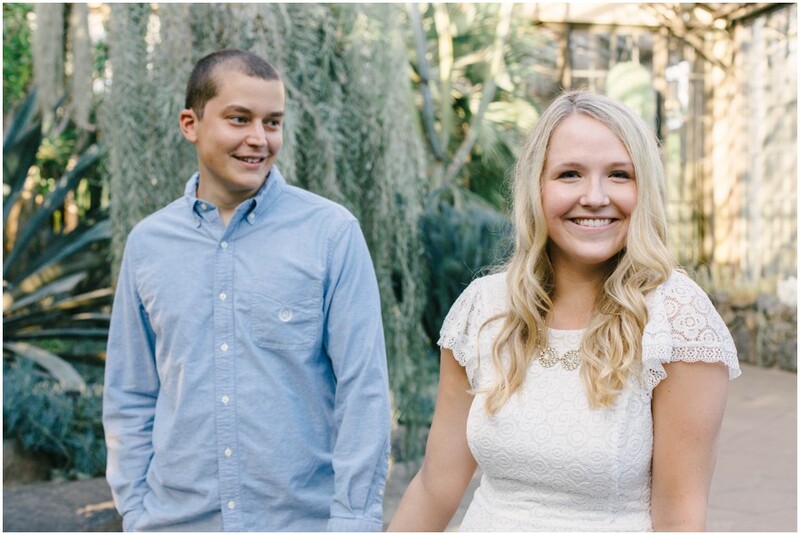 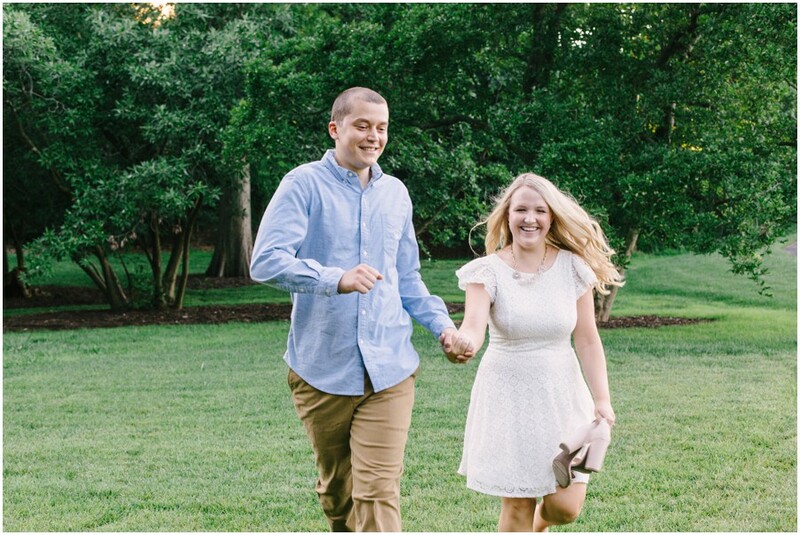 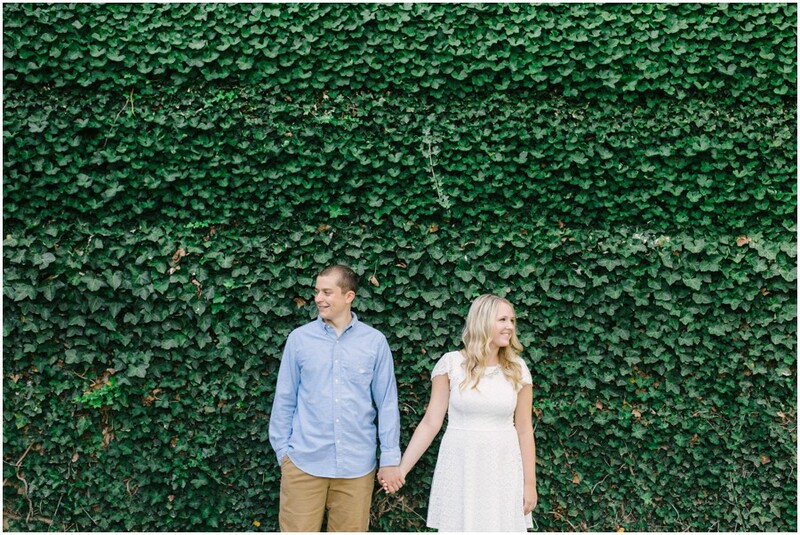 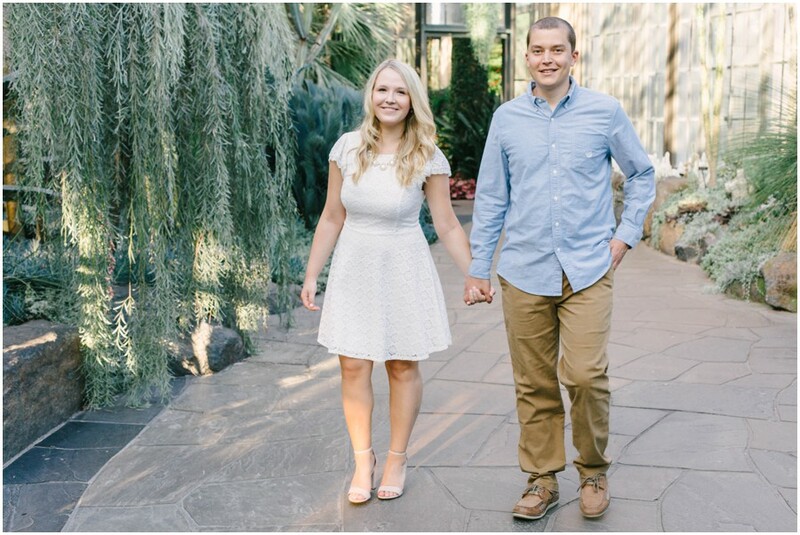 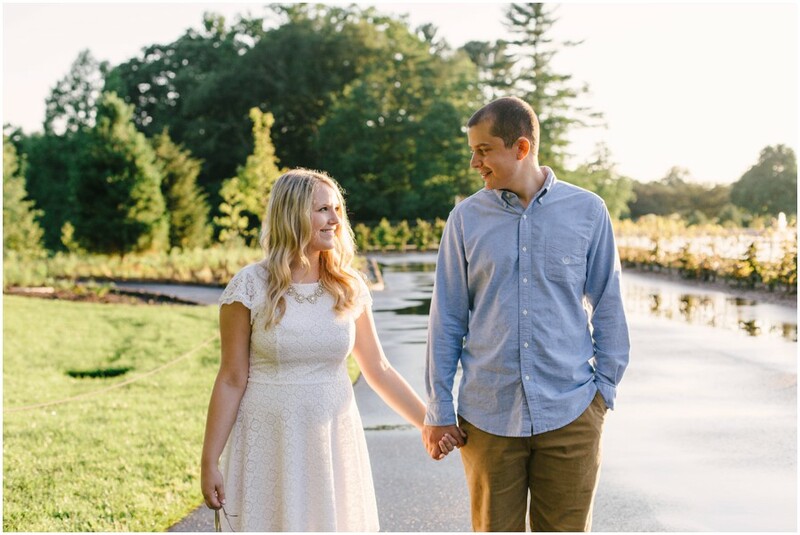 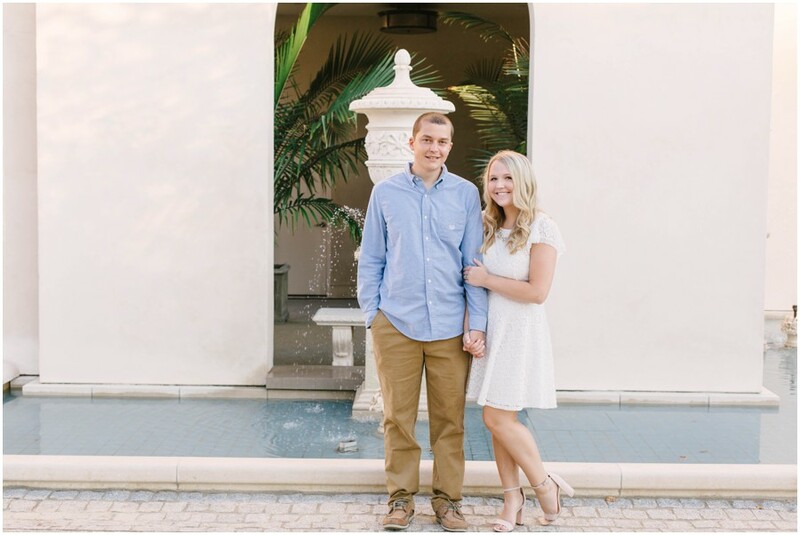 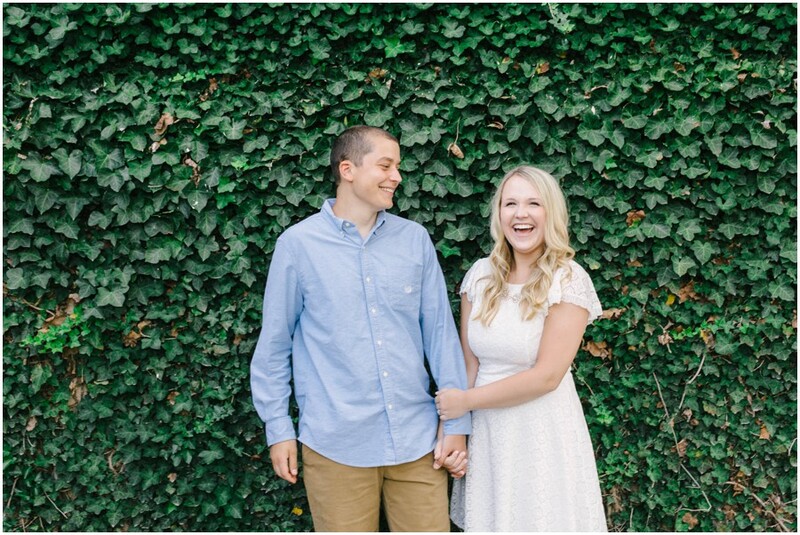 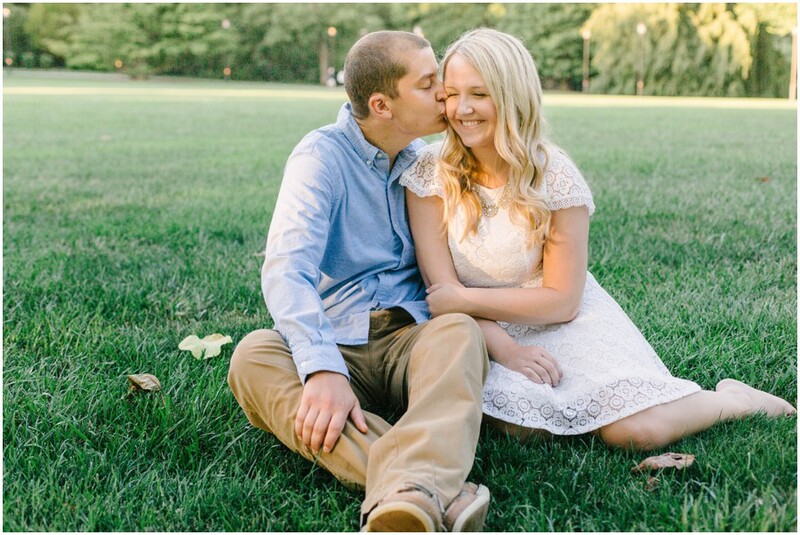 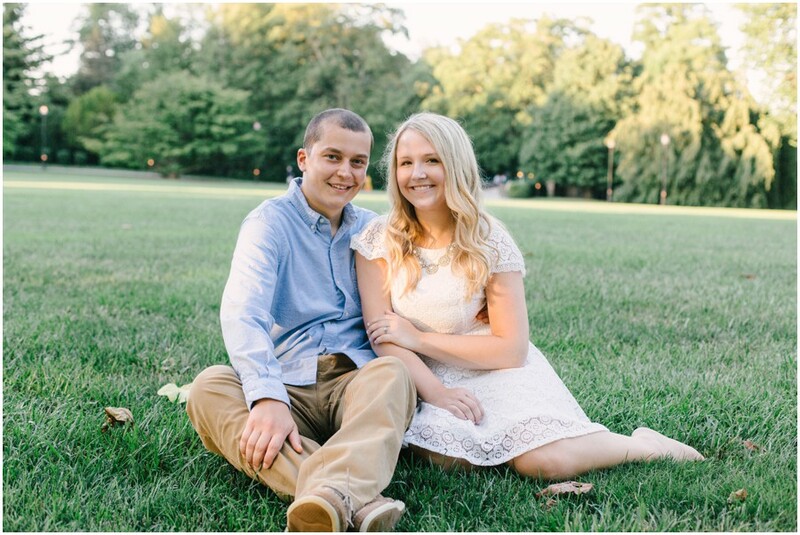 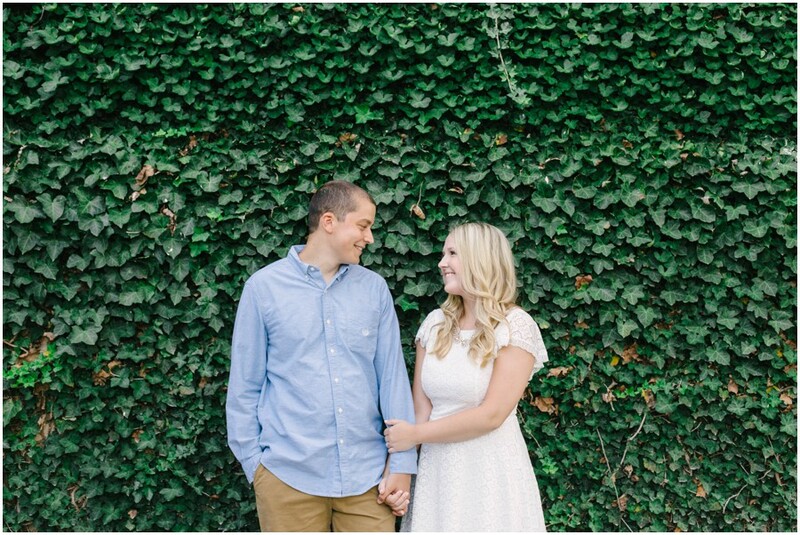 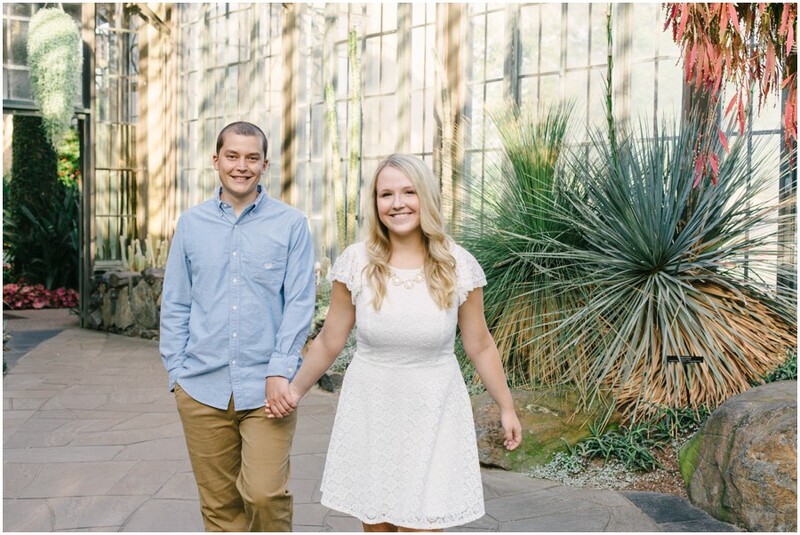 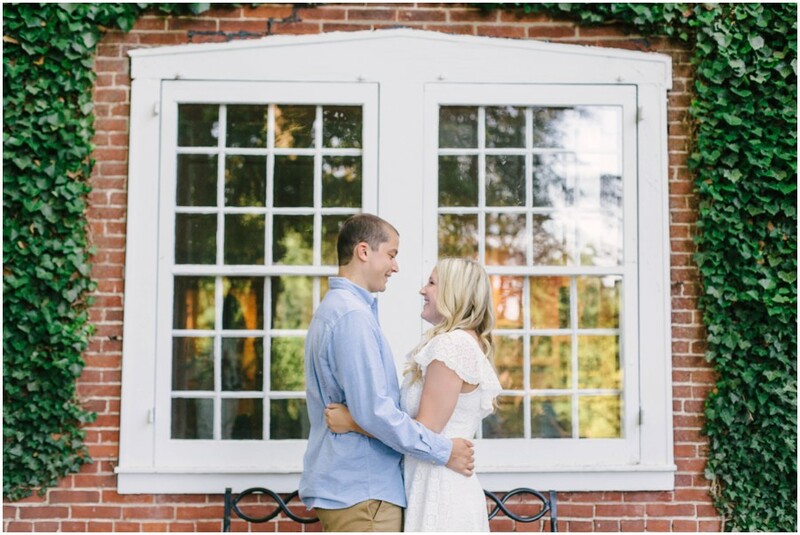 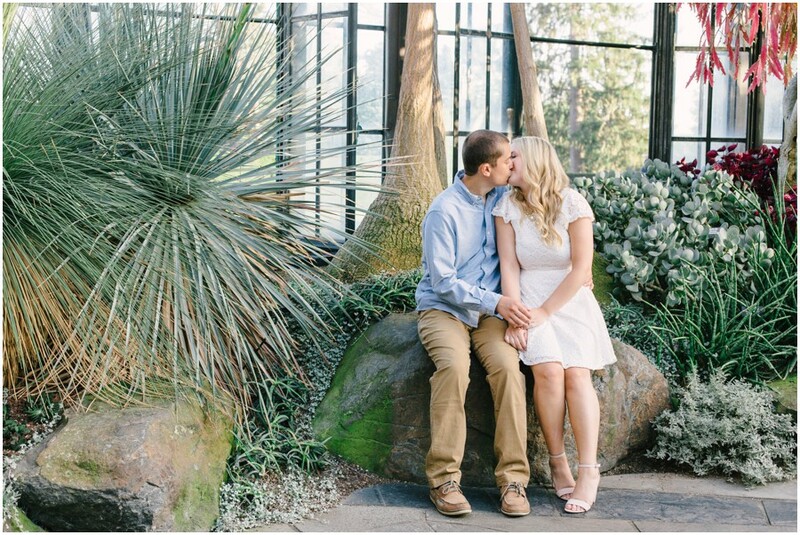 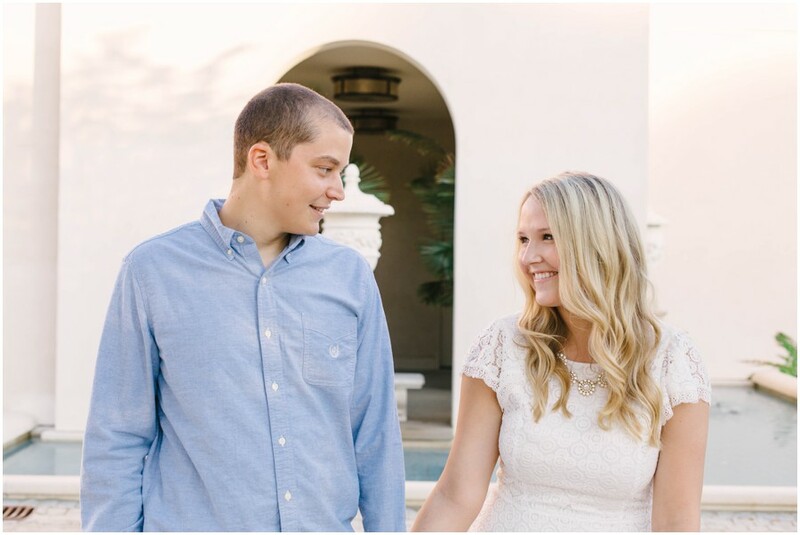 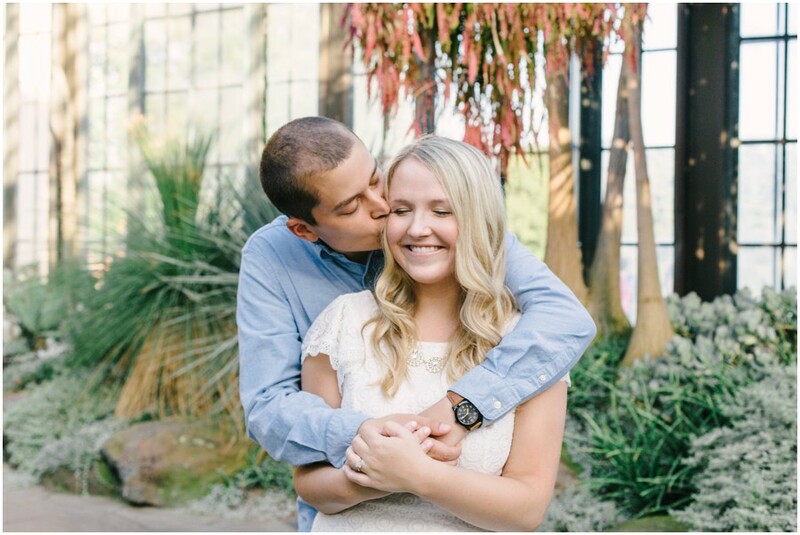 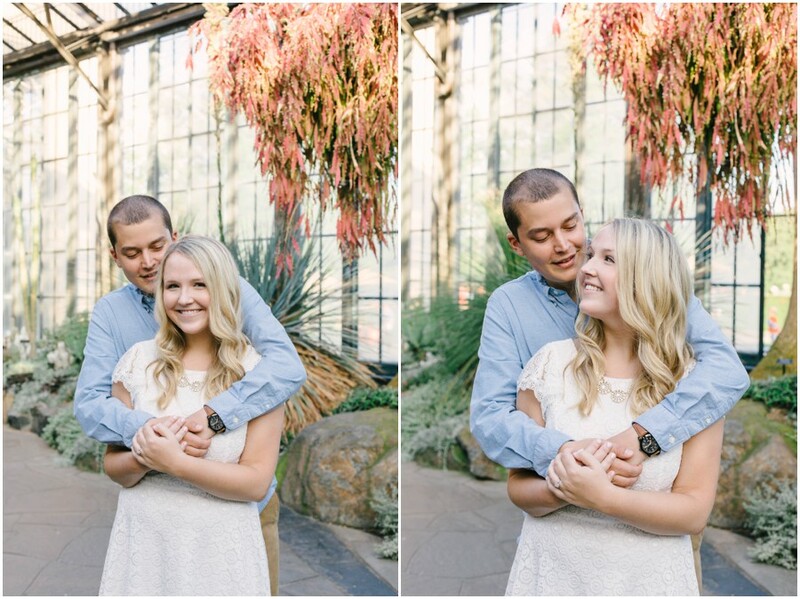 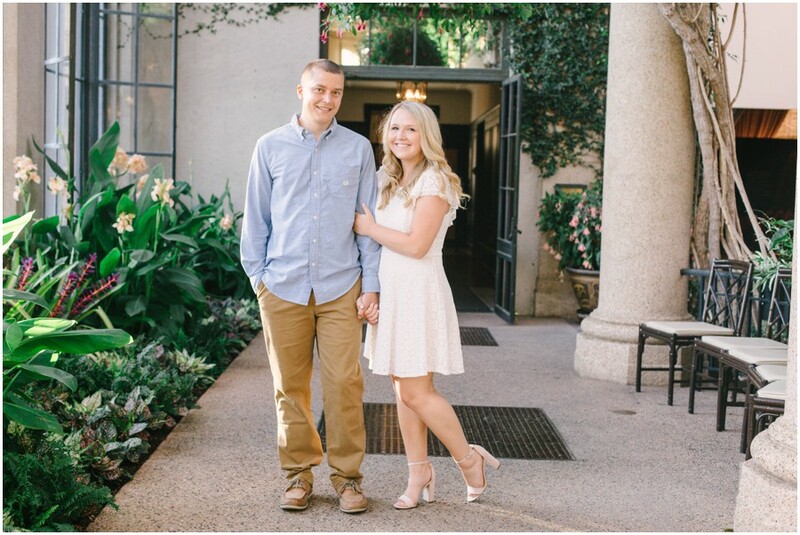 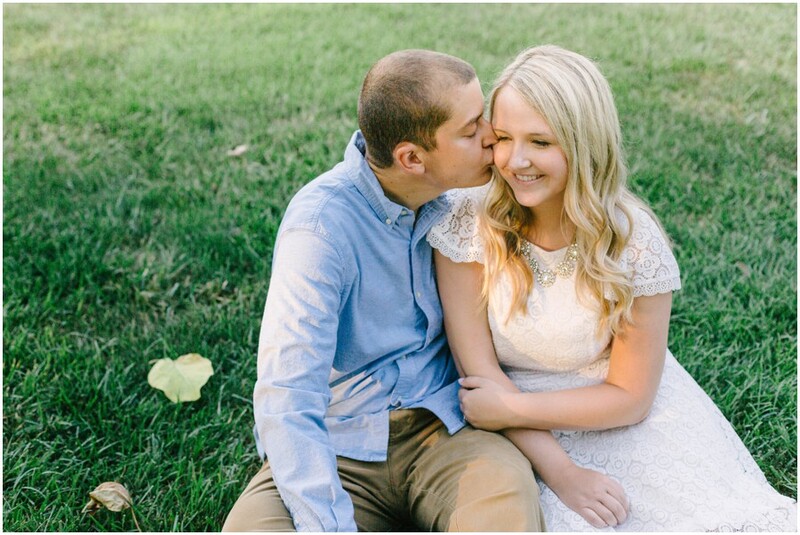 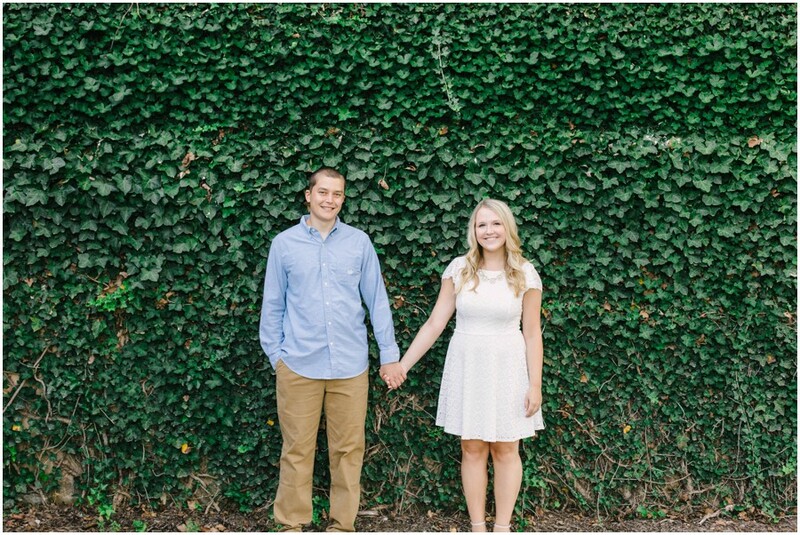 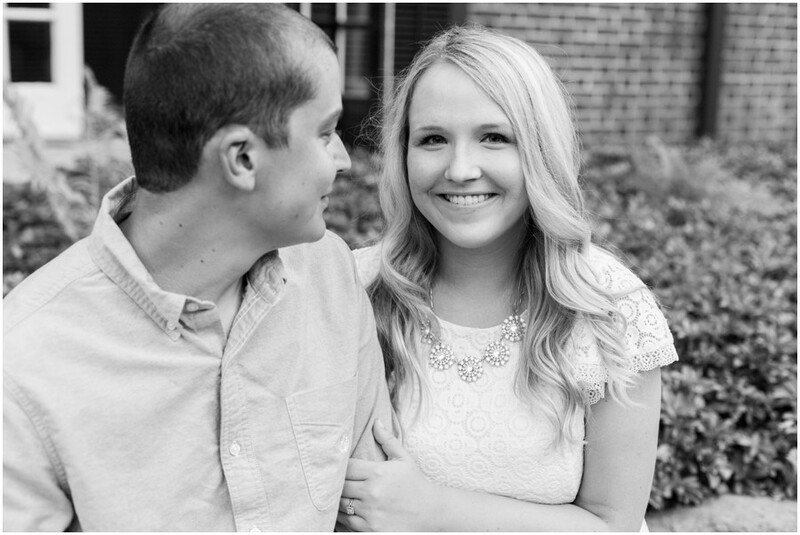 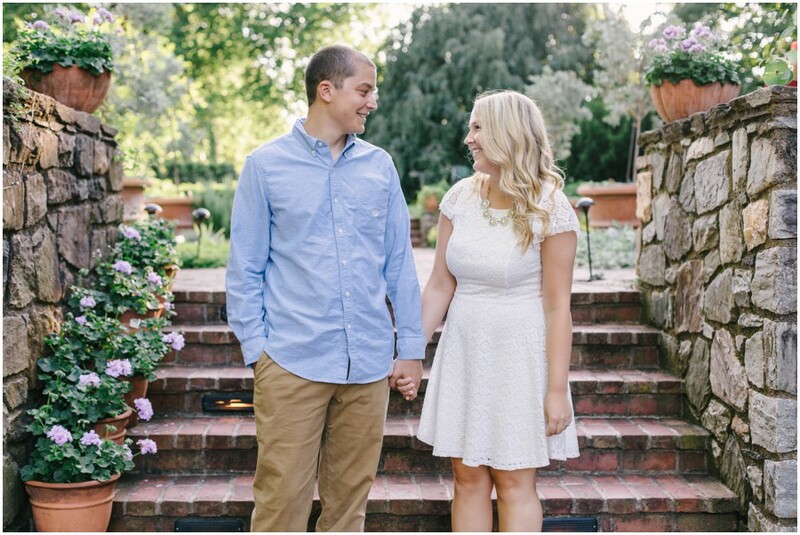 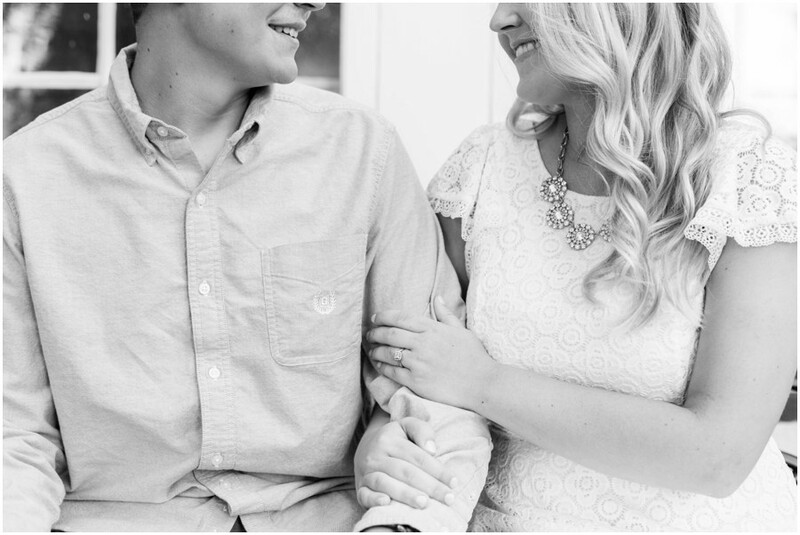 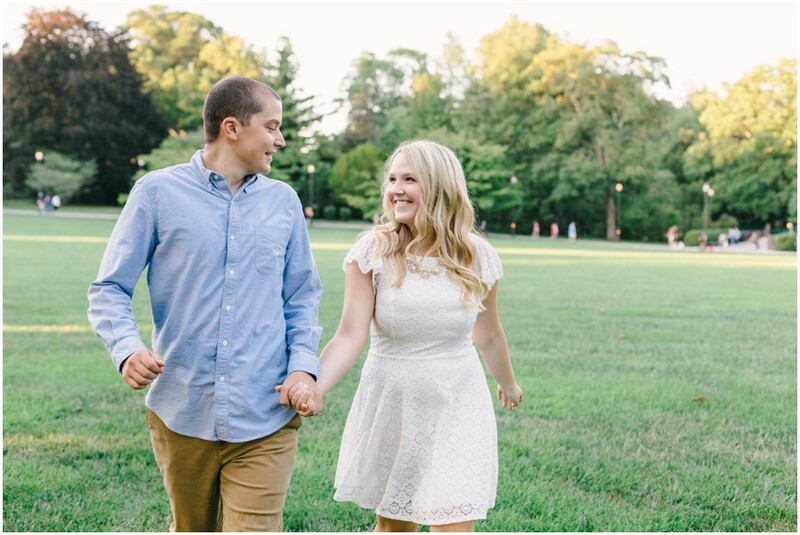 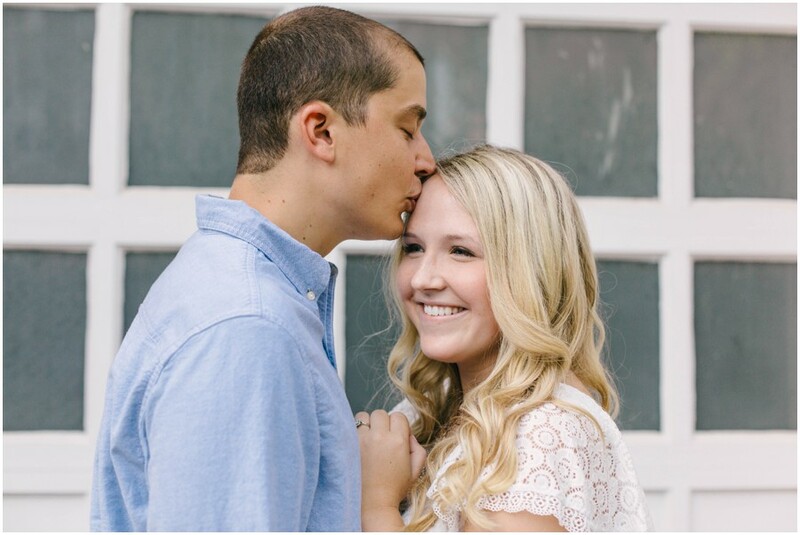 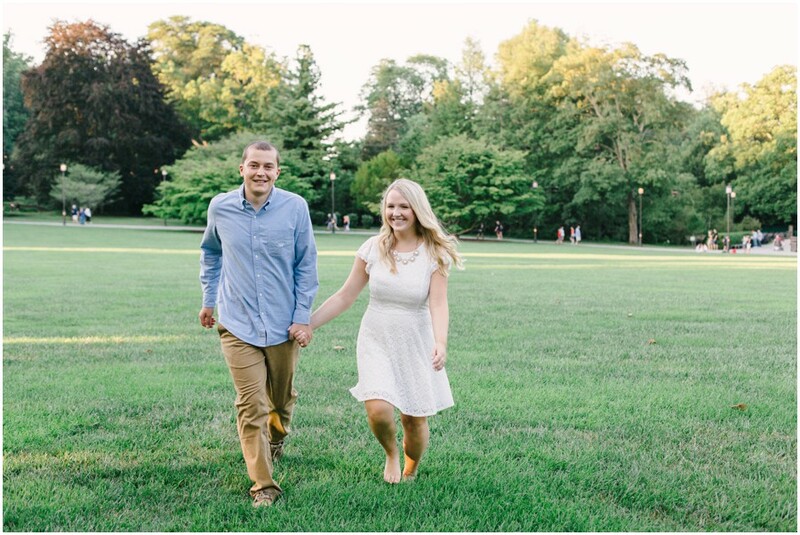 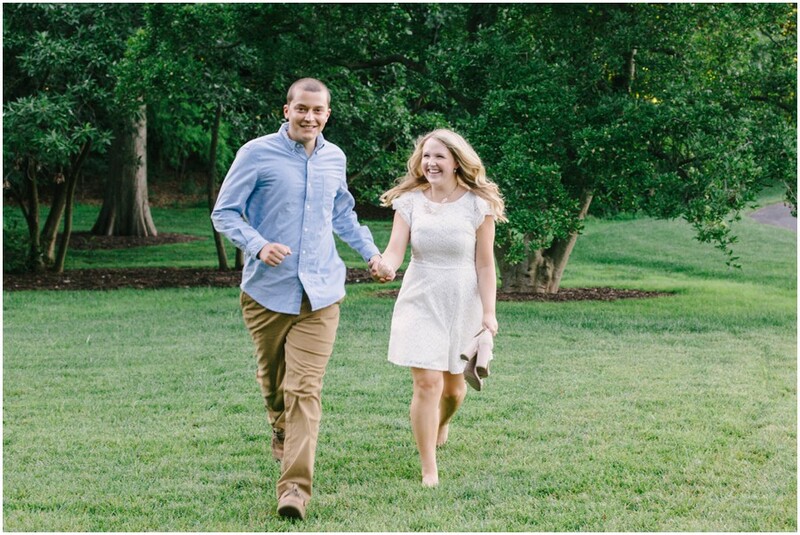 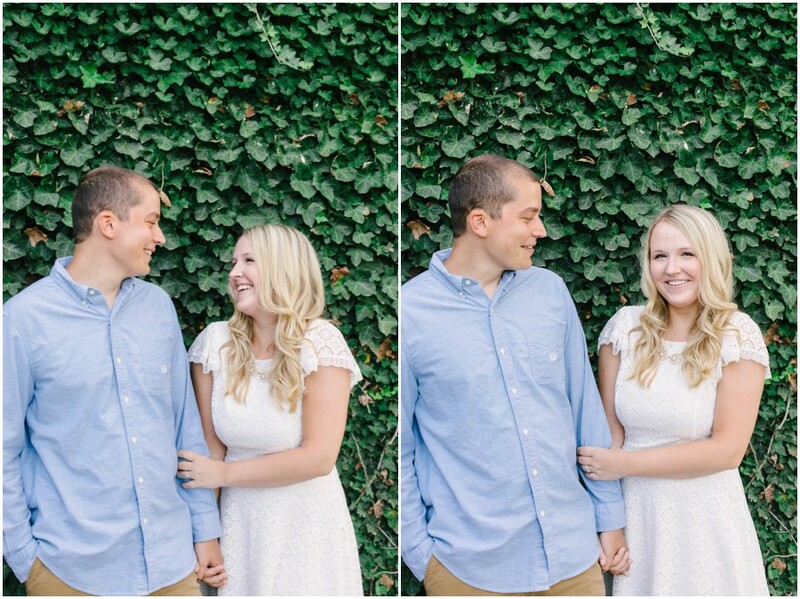 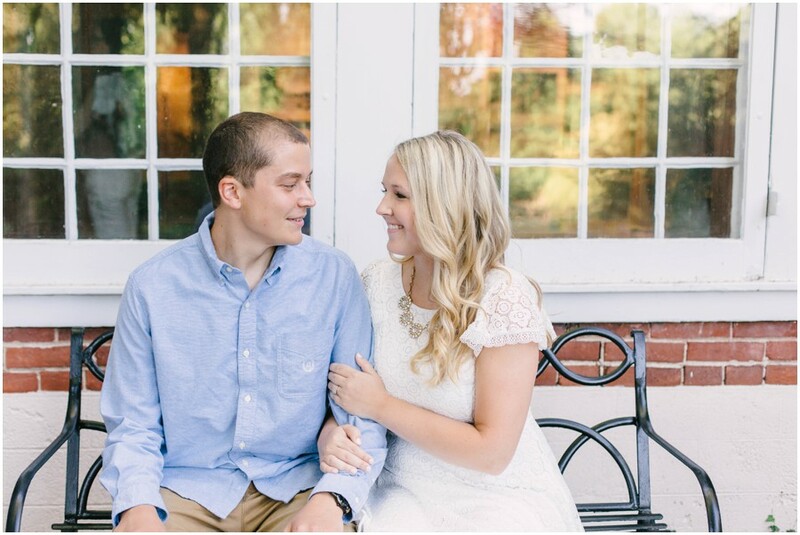 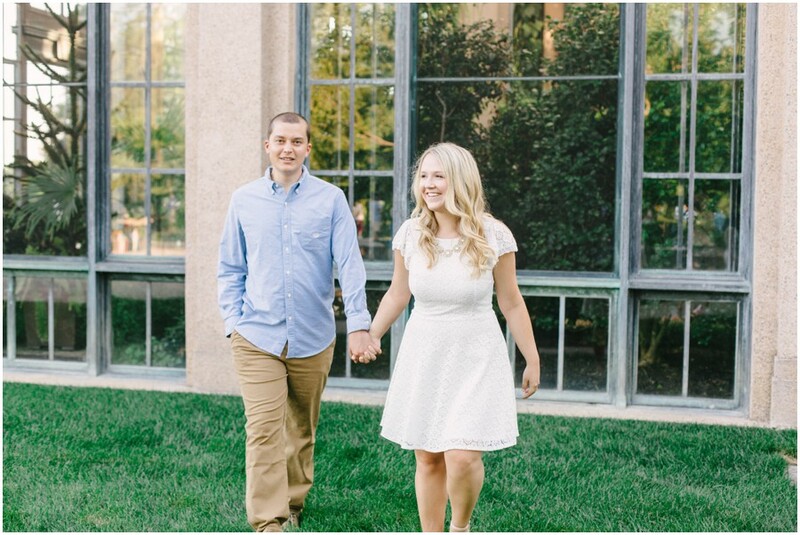 Enjoy some of my favorites from these two love birds engagement session at Longwood Gardens! 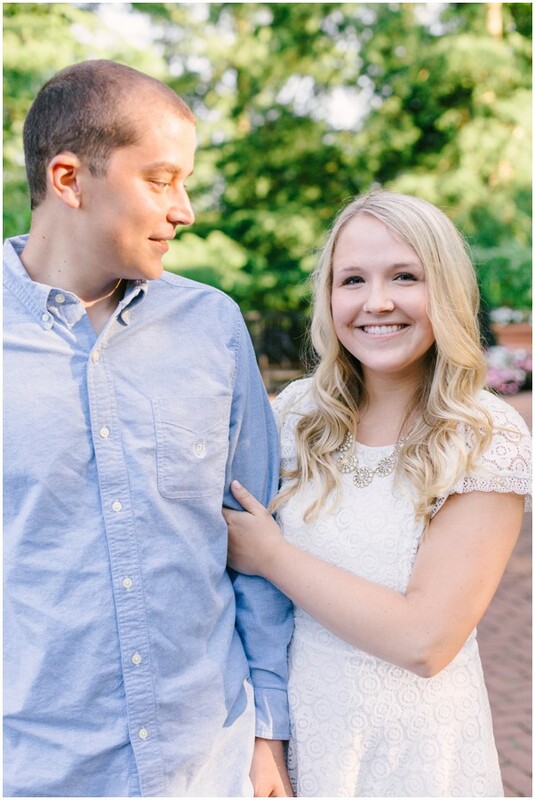 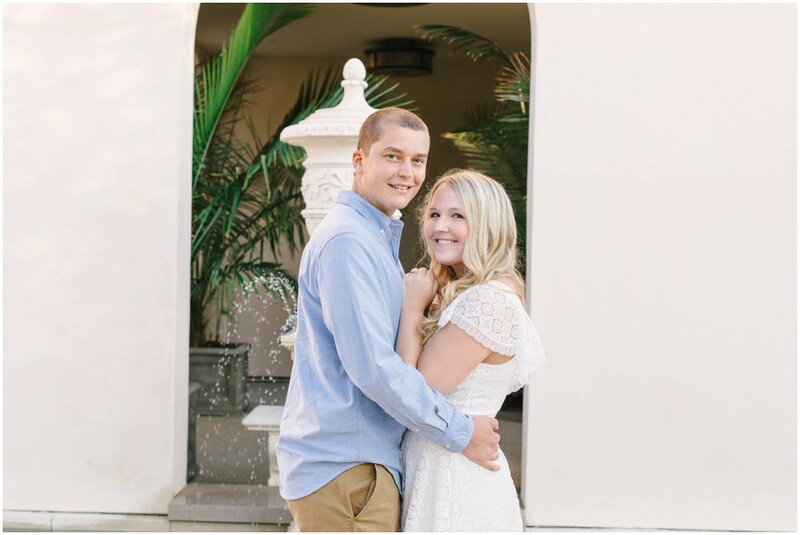 I can not wait to capture even more beautiful pictures of them next April at their wedding. 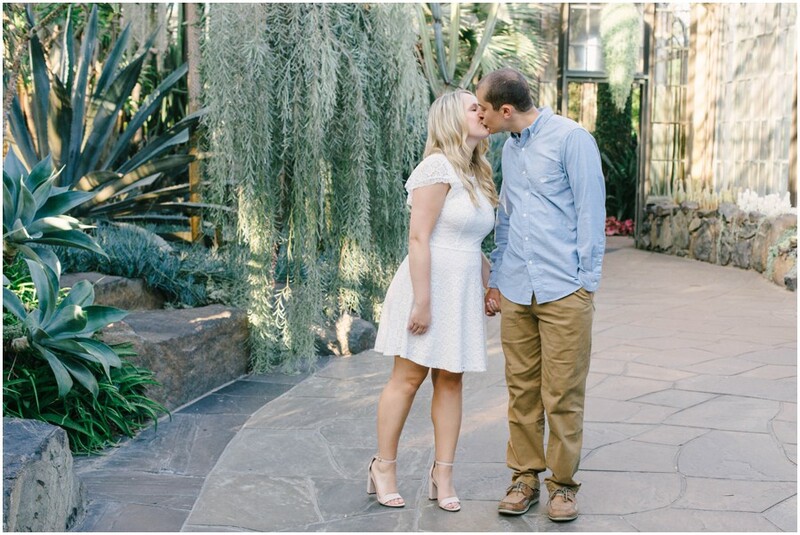 Tagged Chester County Photographer, engaged, engagement, longwood gardens. 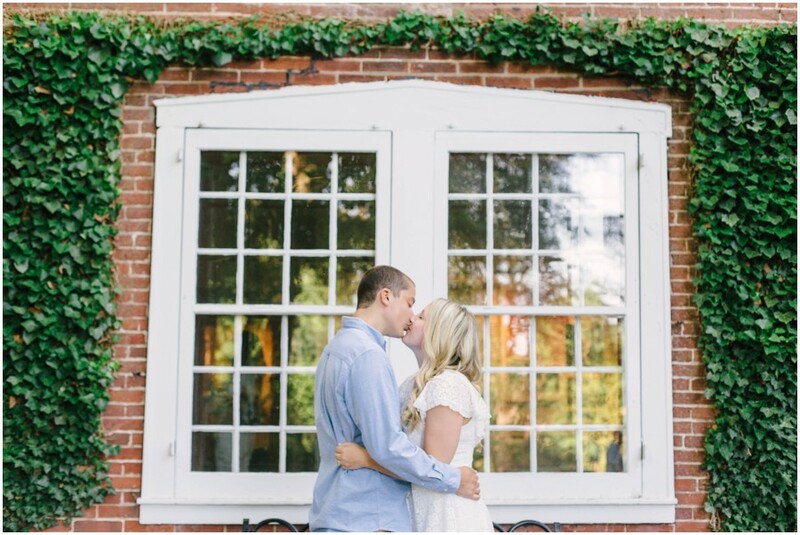 Beautiful location, gorgeous couple! 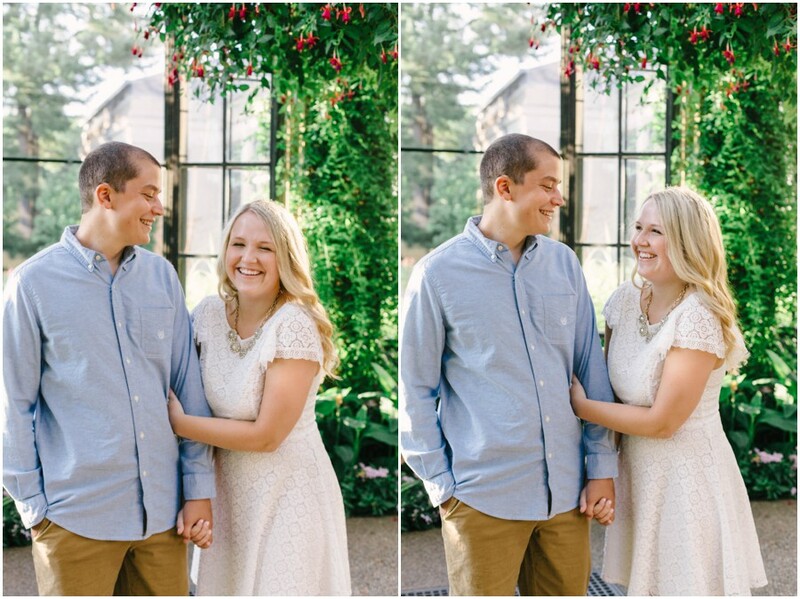 I love how happy they are <3!